ED Noor: The following is a fact-filled expose on Jones that sheds yet more light on his traitorous activities. I was not ready to disown him because of his Jewish wife because I know one or two serious activists with Jewish spouses, such as Arthur Topham and his long time wife Shasta. Jones however has been under my line of fire for many years now. His fear-mongering, professionally scripted disinformation and motivational agenda is patently moving into overdrive as he screams louder and acts crazier by the day. Sadly may see this as "passion" and "patriotism". But the word is out, he is not what he seems; I refer to him as the Austin Blowhard. Jones has too many other shady connections to be ignored and here we go. There is more to Jones than merely agitating and promoting a lock down mentality among his followers. SWITZERLAND, Zürich ~ Based on recent news and events, it now appears that nationally syndicated radio host Alex Jones is working in concert with the Zionist run Obama administration to set-up his own audience of 3 million gun-owning Americans for future acts of domestic terror. Although there are already 10 good reasons why Jones should be tried and hung for treason, this one definitely takes the cake. “They wanna blow something up and blame it on us so they can then have an all-out war on us”. Jones’ ominous statement is partially correct except that HE himself will attempt to provocateur an all-out war against the Obama administration in the aftermath of domestic terror attacks which will be no doubt be blamed on his listeners. 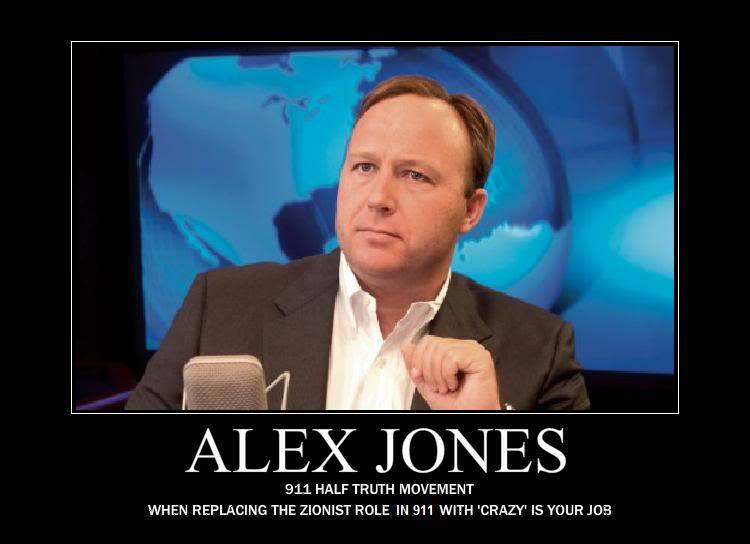 The change to Alex Jones’ traitorous strategy began to metastasize shortly after February 16, 2012, when Jones was forced to cancel his nationwide speaking tour due to security concerns after he was directly linked to the Zionist intelligence agency known as STRATFOR. The private espionage firm, which is also located in Austin, Texas, has the underlying mission of spreading dis-“info” in order provoke a civil-“war”, hence the name of Jones’ website “Infowars”. 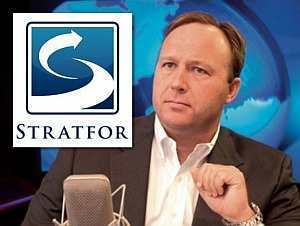 Shortly after being exposed, Jones was joined by the STRATFOR staff of 50 in his new 20,000 square-foot studio compound in Austin where they have collectively doubled-down on their 24/7 mission of disseminating counterintelligence, disinformation and propaganda. The marriage between Jones and STRATFOR was then fully exposed on March 2, 2012, with the assassination of journalist Andrew Breitbart who was apparently sacrificed in a desperate move keep Jones’ traitorous affiliations under the radar. 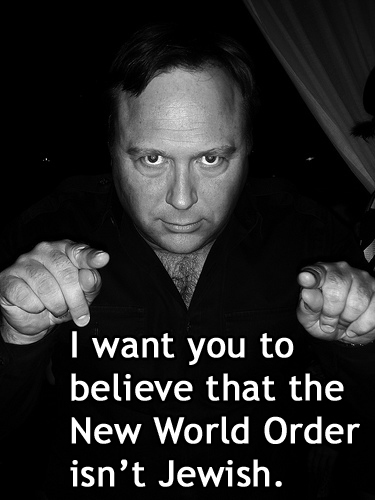 On the same day that NSA whistleblower Edward Snowden was made internationally famous, the “Alex Jones Terror Operation” went into high gear when Bloomberg News reported that both of the alleged Boston Bombers along with Jared Loughner, the man who allegedly killed 6 and wounded 13 in Tucson, Arizona, including U.S. Representative Gabrielle Giffords, were fans of Alex Jones and listened to him constantly. this according to Mark Potok, a senior fellow at the Southern Poverty Law Center who was featured in the report. 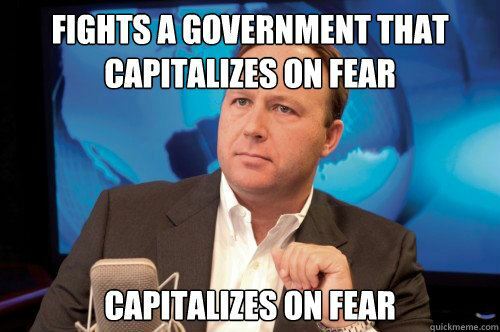 Although the Alex Jones Provocateured NSA Terror Attack was apparently cancelled or postponed, the fear is that in the aftermath of domestic terror attacks, Jones will attempt to bait his fellow Americans into a violent revolution against police and military just as he attempted to do on December 31, 1999, the eve of Y2K. Since June 11, 2013, Jones has begun paraphrasing the aforementioned Bloomberg News report by repeatedly stating, “I don’t build bombs, I build bombers” on his radio show. Either Jones is trying attempting to provocateur an organic domestic terror attack or he is repeatedly rehashing the phrase on the record so that in the aftermath of domestic terror attacks allegedly committed by his listeners, the audio can be played in a courtroom for all of America to hear. Case in point: On June11, 2013, Alex Jones stated on his radio program: “Our government is Hitler…We need to get aggressive” and “They might kill me”. Two days later, Jones stated “I am in danger” and we need to “accelerate to ramming speed”. Jones, who has been planning a departure from public life for quote some time now is obviously setting up his future assassination but not before he completes his mission of inciting a bloody revolution in the aftermath of terror attacks. The NSA scandal and the inexplicable “building bombers” talk by Jones clearly indicates that Jones’ audience is systematically being set-up to take the fall for future acts of domestic terror. Not surprisingly, the Infowars headline in respect to the Bloomberg News report read: “Alex Jones’ Free Speech Causes Terrorism”, ultimately linking the words “Alex Jones” and “Terrorism” in the same sentence as some sort of a sick inside joke. The main goal of the Zionist establishment is to get America to destroy herself the same way that Russia was destroyed under Stalin. This is done by dividing and then collapse society upon itself by baiting the gun-owning American public into a violent revolution against their own police and military while the real terrorists sit off-shore and pull the strings. In the aftermath of major U.S. terror attacks, media personalities such as Alex Jones, Michael Savage, and Glenn Beck will attempt to bait gun-owning Americans into taking up arms against the Obama administration and the U.S. government. Remember, violence of any kind MUST be avoided at all costs for it plays right into their hand. 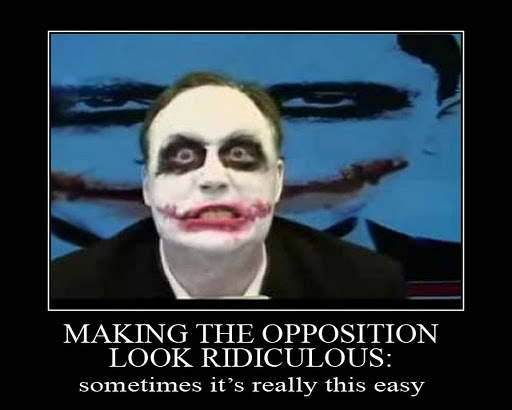 Interestingly, most of Alex Jones’ alleged allies and enemies such as Michael Savage, Matt Drudge, Michael Bloomberg, George Soros, and Rachel Maddow all just happen to be of Jewish decent which shows that both the heroes and the villains surrounding Jones are nothing more than Zionist operatives playing both sides in a coordinated effort to spark a violent revolution. In October 1994, the SPLC’s “KlanWatch” program issued a similar warning to the federal government on the purported threat of militias. Six months later on April 19, 1995, the Murrah Federal Building in Oklahoma City was bombed by the ATF and FBI. “Besides exploiting racial animosities, Jones’s conspiracy theories often appeal to the fears of the antigovernment “Patriot” movement”. Since the SPLC anti-government terror reports, Jones has been prominently featured by most of the world’s biggest media outlets including but not limited to Fox News, Forbes, MSNBC, Bloomberg News, CNN and even the BBC. Although it’s impossible to know exactly what form new domestic terror attacks allegedly committed by Jones’ audience will take, bombings and shootings targeting U.S. government installations (i.e., IRS, NSA, The Federal Reserve, etc.) in the heartland states of America (i.e., Ohio, Oklahoma, Michigan, Missouri, etc.) are the most likely targets. In essence, a repeat of the 1995 ATF and FBI orchestrated bombing of the Alfred P. Murrah Federal Building in Oklahoma City, Oklahoma, is in order for it would be obvious enough for Jones to foment a violent revolution in its aftermath. Although there is no new news, developments or evidence to report in respect to the now 18 year-old OKC Bombing, a propaganda film entitled “A Noble Lie: Oklahoma City 1995” (2012) was released (see trailer) which features Jones who also partnered on the film. Aside from selling it in his online store, Jones has hosted the filmmakers in studio for multiple sit-down interviews and has repeatedly interviewed them on his radio program in a systematic and coordinated effort to rehash the “Inside Job” nature of the OKC Bombing for millions of his new radio listeners. 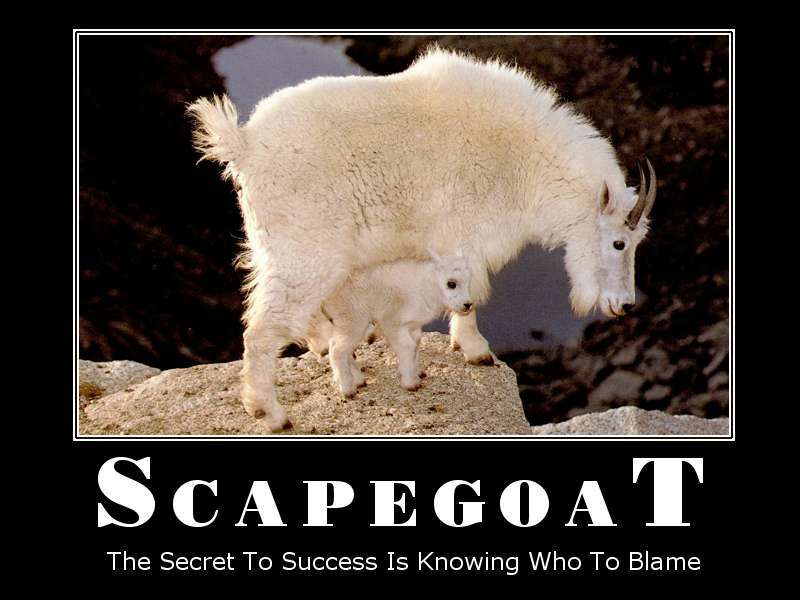 Prior to a major domestic terror attack scape-goated onto the audience of Alex Jones, the public must first be psychologically programmed that this is in fact possible. 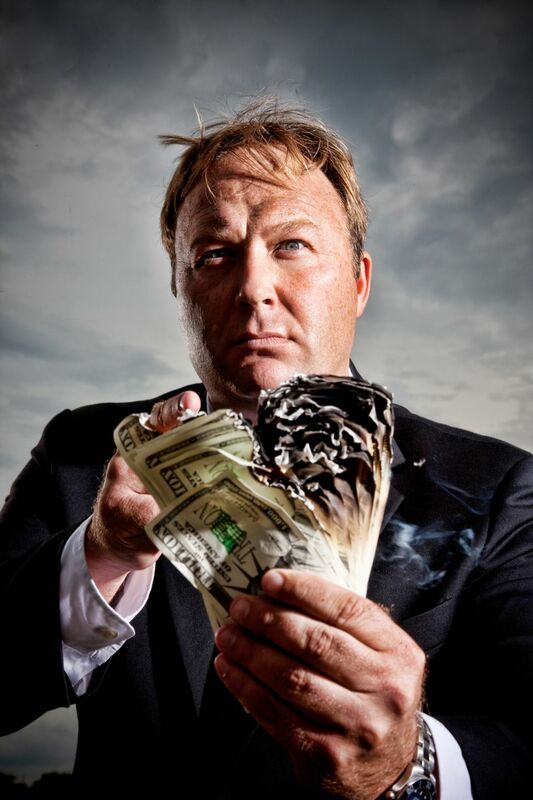 Starting in January of 2013, there has been an all-out media blitz in both the United States and England in order to make Alex Jones a household name. Jones has now been prominently featured on CNN and the BBC (see below), two of the largest media outlets in the world. During both of his prime-time interviews, Jones purposely acted like a madman in a shtick meant to demonize gun-owning Americans as well as to set them up for future acts of domestic terror by acting like a crazy irrational extremist. Jones’ mission is to publically portray himself as a gun crazed anti-government lunatic so that the public can make the mental leap and ultimately conclude that anyone who listens to Jones must also be crazy and irrational themselves. Needless to say, Jones succeeded with flying colors. After Jones’ crazy tirade, news outlets around the world released headlines with the words “Alex Jones” next to terms such as “crazy”, “blows up” and “explosive” obviously foreshadowing Alex Jones spawned terror. The interview was such a success that late-night TV host Conan O’Brien even did a comedy bit about Alex Jones on his show. Roughly 5 month after Alex Jones’ CNN debacle, Jones was part of another media false-flag when he allegedly “disrupted” the BBC’s Sunday Politics television show on June 9, 2013. Normally, when someone “storms” onto a television show uninvited they are promptly arrested and charged with trespassing, but not Jones. Instead, Jones was given a seat at the show’s table where he once again spewed his crazy rhetoric which was then used as cannon fodder in order to further demonize the truther movement. As the headlines state, Jones went “berserk”, “mad” and was ultimately called an “idiot” on the show. Predictably, key terms such as “blow up” and “martyr” were again disseminated in headlines worldwide. As the June 10, 2013, PolicyMic headline correctly stated, “Alex Jones BBC Video: Sunday Politics Disruption Proves He’s Ruining The Conservative Movement”. As evidenced by recent Alex Jones headlines, there is a concerted effort to both attack and promote Alex Jones by all facets of Zionist media in both the U.S. and Europe. If Jones was not part of the intelligence establishment he would not be constantly featured in Forbes, Salon, Bloomberg, LA Times, Huffington Post, Drudge Report and Media Matters. Nor would Jones be routinely talked about on Fox News, MSNBC and “The View” by television and radio hosts such as Barbara Walters, Rachel Maddow, Rush Limbaugh, Michael Savage, Bill O’Reilly and Glenn Beck if there wasn’t a larger agenda at play. Publically demonizing Jones while simultaneously cross promoting him is part of a coordinated media effort to make Jones a household name just prior to domestic terror attacks blamed on his listeners who are increasingly being portrayed as mentally unstable, violent and prone to terrorism. David Chase Taylor, the editor-in-chief of Truther.org, is an American journalist living in Zürich, Switzerland where he has applied for political asylum since the release of The Nuclear Bible, a book credited with subverting a false-flag/state-sponsored nuclear terror attack upon Dallas, Texas on February 6, 2011. Taylor has also released The Bio-Terror Bible, a website exposing the coming global bio-terror pandemic. Taylor has also been credited with exposing numerous terror plots including the 2012 DNC Terror Plot, the “Twilight” Premier Terror Plot, as well as the Alex Jones links to STRATFOR. Truther.org’s stated purpose is to prevent terror attacks by drawing unwanted global attention to these terror plots prior to their fruition. Terror related assertions, forecasts and predictions made by Truther.org DO NOT necessarily imply that these terror events will transpire in reality but rather that there is a distinct possibility they could theoretically happen based on the cumulative terror related data. Historically, once a major false-flag terror plot is exposed (e.g., the Super Bowl Nuclear Terror Plot), the terror plot is immediately cancelled or postponed. State-sponsored acts of terror must have a prior paper trail in order to set-up patsies, prime scapegoats, create plausible deniability, as well as mislead the public from the true perpetrators of terror. By first identifying and then connecting the dots of the terror related paper trail, Truther.org has successfully blown the whistle on numerous terror related plots. Please spread the word in helping make terrorism a thing of the past. Namaste.